The weather was exceptionally glorious after a whole week of rain just in time for my mini getaway to Carmel. We had lunch downtown and spent the afternoon checking out cute little shops and walking along the beach. 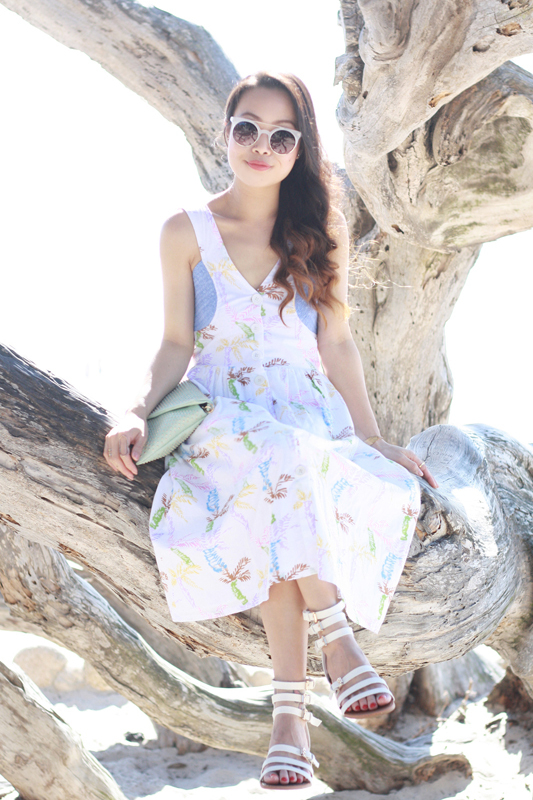 I couldn't think of a better dress to wear than this Fool For Love dress by Family Affairs from its Spring/Summer Coconut Vision collection. 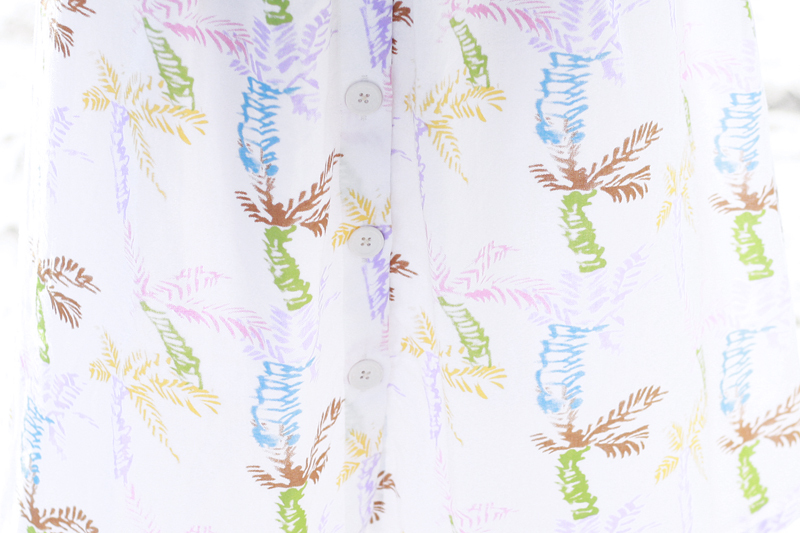 It is the ultimate I-am-on-vacation dress... light, airy, easy, and how perfect is the palm print! I paired it with some simple strappy sandals and a mint studded clutch by Sole Society. These photos were taken by a very cool looking tree at Carmel State Beach, the branches were so twisted that there were about five wooden poles holding it up! 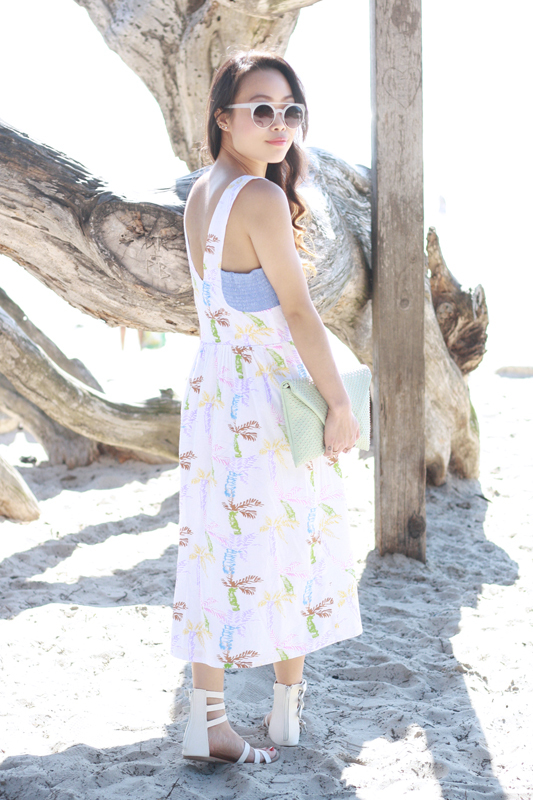 Fool For Love palm print dress c/o Family Affairs. 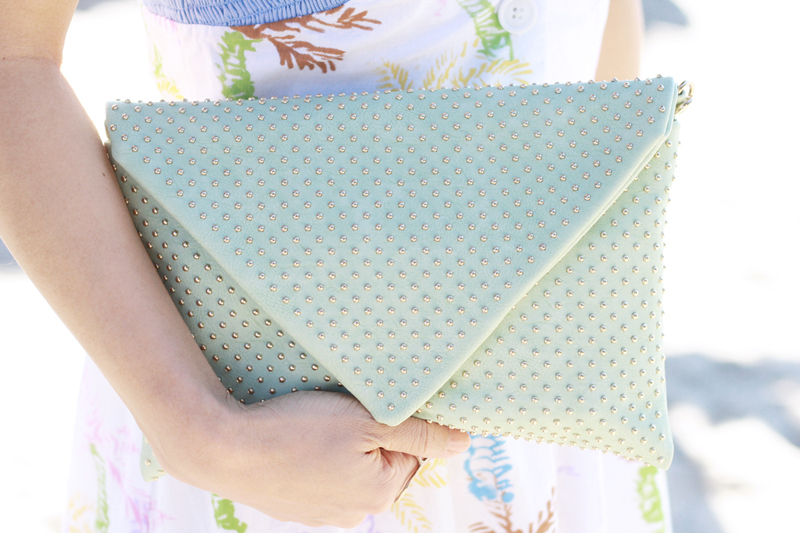 Demi mint studded clutch c/o Sole Society. 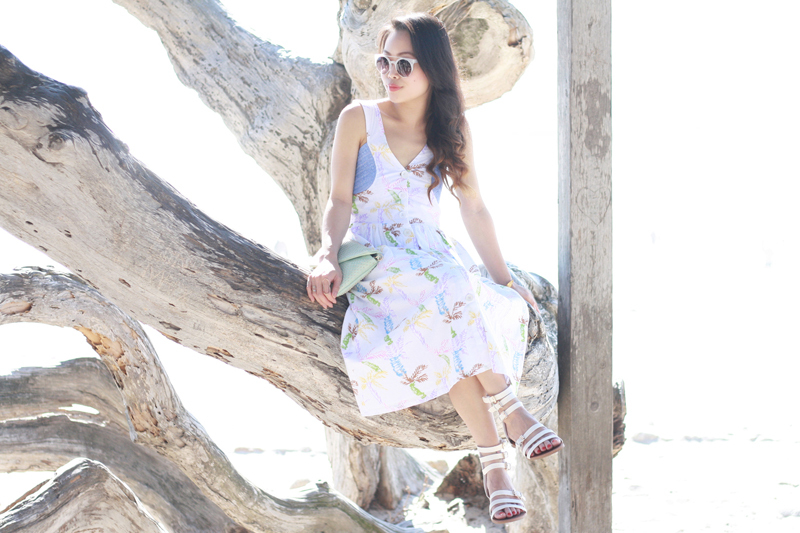 White strappy sandals by Bamboo.